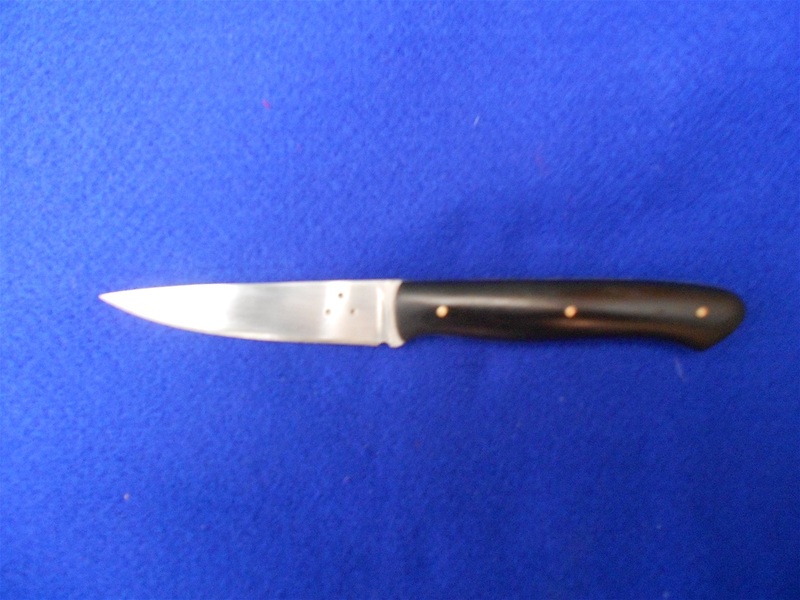 The field scalpel has a 2 1/2 inch blade of .125 1084 steel. This one has buffalo horn handles which is an upgrade on the standard blackwood. 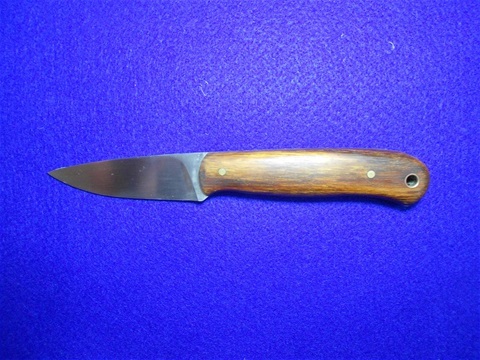 The gamebird knife has a 3 1/2 inch blade of .09 15N20 steel. This one is on buffao horn which is an upgrade on the standard blackwood. This every day carry knife has a 3 inch blade of .125 1084 steel. Comes with either standard vertical or a horizontal cross draw sheath. Right or left handed. Shown with standard blackwood handles. Upgrades available. The light hunter has a 3 3/4 inch blade of .125 1084. 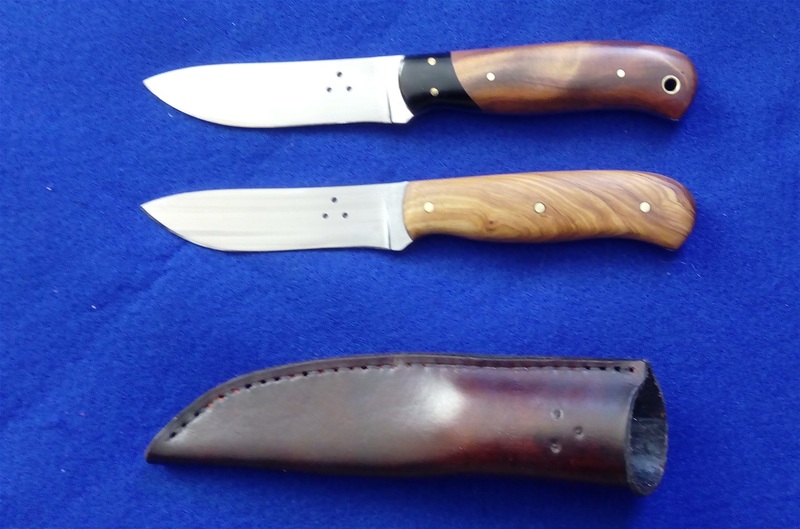 The top one has canvas olive micarta with brown linen micarta handles with the lower one being my own personal knife having end grain olivewood with ebony . Standard handle price is for blackwood. 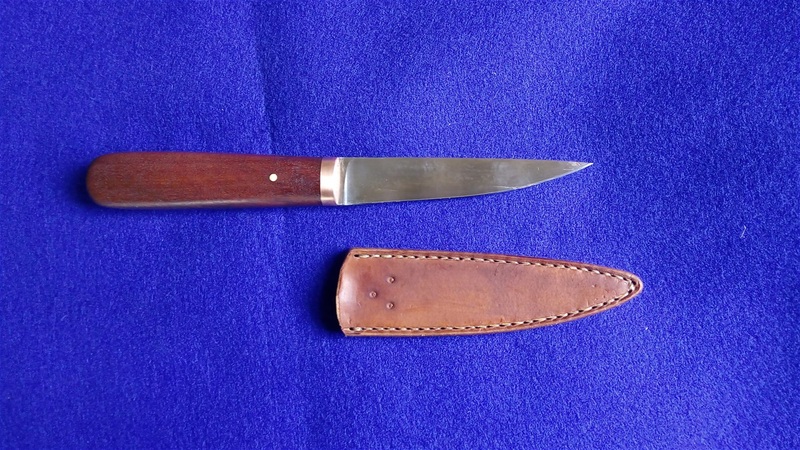 The Classic mini skinner with its 3 1/4 inch blade of 1/8 1084 is suitable for all small game from goats to deer and makes for a compact carry knife that is still able to perform the big tasks of field dressing and skinning you game animals. Standard offering is a blackwood handle with these two being special order. 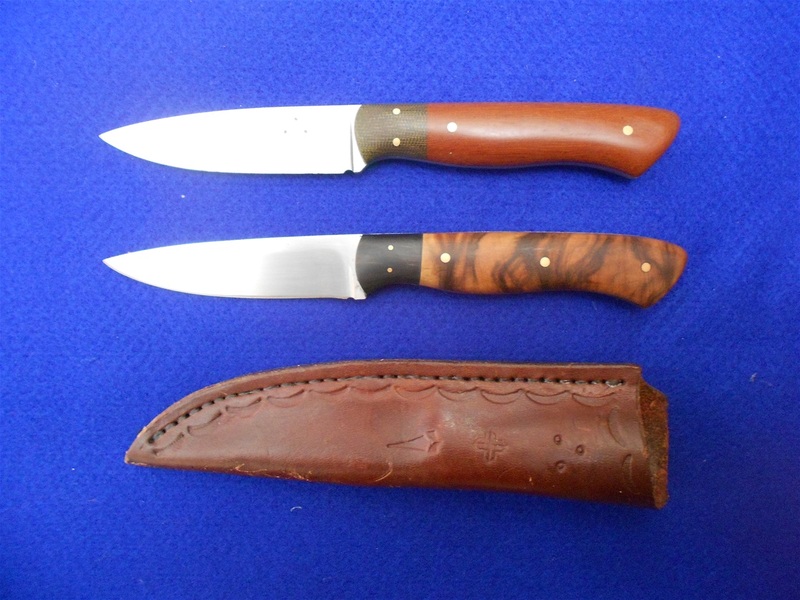 The top one has curved paper micarta bolster with NZ Matai handles and a lanyard tube while the lower one has olivewood handles. 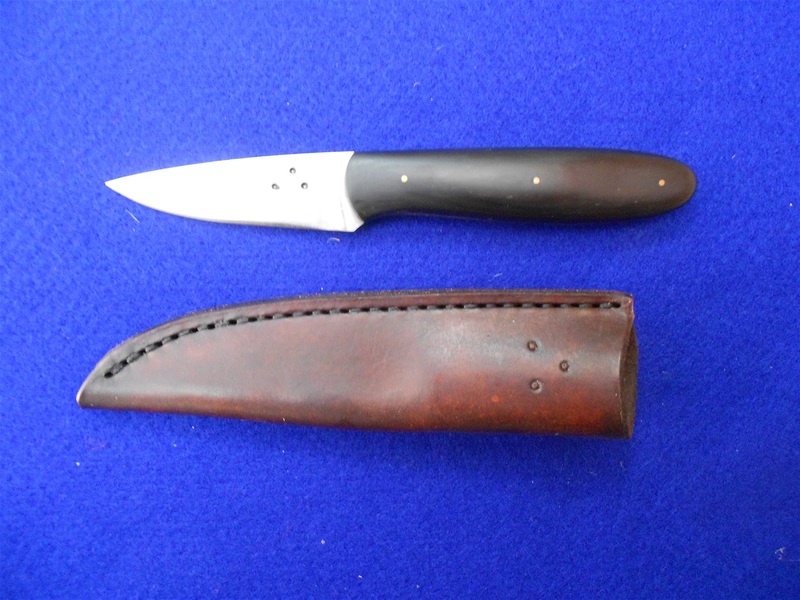 Comes standard with sheath. Upgrades available.